Libby Mongue-Wymore's recent lobbying trip to Washington, D.C. presses for research funding. Libby Mongue-Wymore of Fairview was just 20 and attending college when she started feeling crummy. Her mom thought she probably had mononucleosis but a battery of tests revealed something much worse. She had Hodgkins lymphoma, a cancer of the lymph nodes. She endured four months of chemotherapy and a month of radiation. "I'm cancer free, 16 years and counting," she said. That experience has turned the 37 year-old receptionist into a cancer activist. "Once I got through treatment. I wanted to give back. So many people supported me." 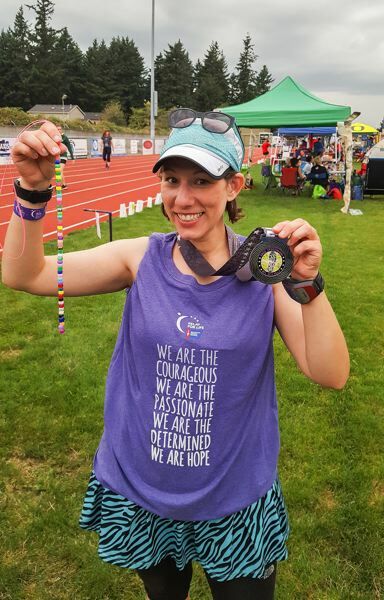 She started by participating in an American Cancer Society's Relay for Life, a national fund and awareness raiser, at her school, Washington State University. She learned a lot about cancer through participating in the relays and association activities and ramped up her advocacy. Last month Mongue-Wymore joined more than 700 cancer patients, survivors and volunteers from every state in Washington, D.C., for the annual ACS Cancer Action Network (ACS CAN) leadership summit and lobby day. The 700 people urged Congress to "make cancer a national priority and help end a disease that kills more than 1,650 people daily in this country," the ACS said. "One in two men and one in three women will be diagnosed with cancer in their lifetime. Their lives may depend on the decisions made by our lawmakers today," said Mongue-Wymore of her seventh lobbying trip to the nation's capital. "Research and funding has always been a big deal for me," she said, "I know how research benefited me." She said the cure rate for her type of cancer and for others has improved. "They are learning we don't need to use as many and as strong chemicals. The research also is improving the quality of life for people," she said. 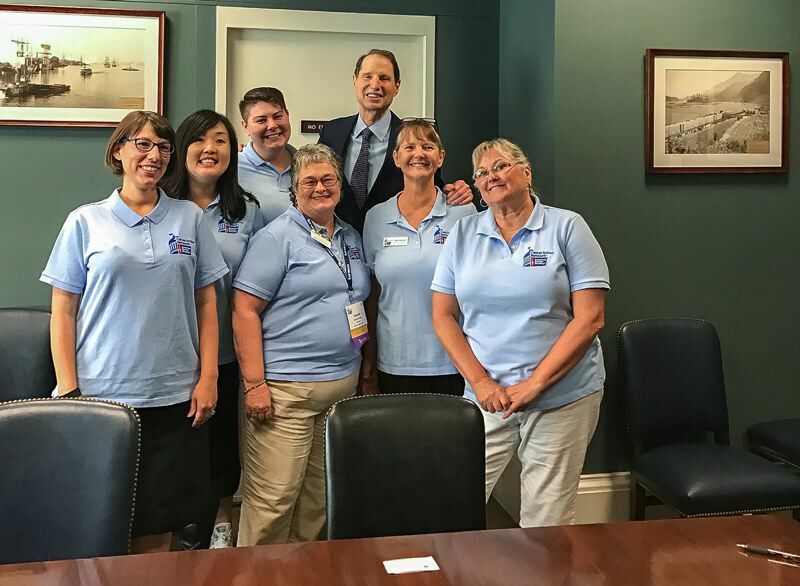 "We want Congress to know that volunteers from Oregon, and from every state across the country, are counting on them to take action now on funding cancer research and ensuring access to affordable and adequate health coverage." Mongue-Waymore and others met with Oregon's two Senators, both Democrats, Ron Wyden and Jeff Merkley. "We have two or three different, specific asks," she said. She asked them to increase federal cancer research funding. Mongue-Waymore and the 700 volunteer lobbyists asked legislators to boost funding for research at the National Institutes of Health to $36 billion. The ACA said this year there has been a lot of talk about cutting funding for medical research. The citizen-lobbyists also asked their representatives to back a bill to improve the quality of life for cancer patients called the Palliative Care and Hospice Education Training Act. They also sought support for a bill that removes a glitch for Medicare payments for colonoscopies. Medicare patients can receive a surprise bill if a polyp is found and removed during a colonoscopy because their screening is reclassified as a diagnostic procedure. Colorectal cancer is the second most common cause of cancer death in the U.S., yet it's one of the most preventable cancers by getting a routine screening. The association's goal is to get 80 percent of eligible Americans screened for colorectal cancer by next year. 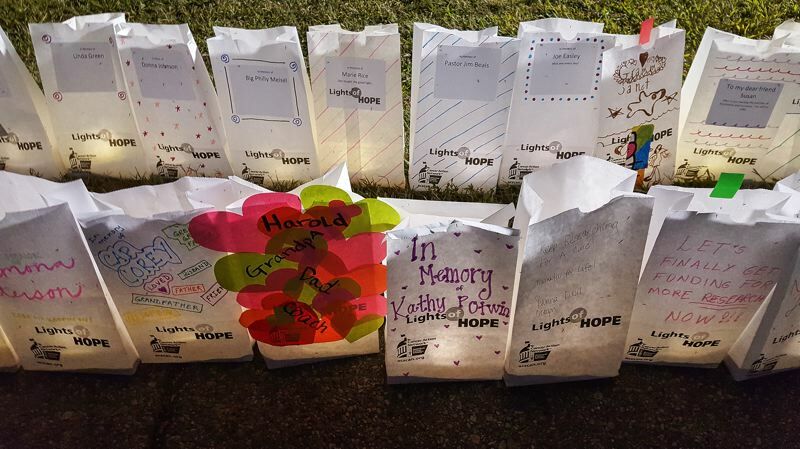 The ACS CAN Lobby Day culminated with an emotional evening Lights of Hope ceremony in front of the Lincoln Memorial featuring more than 25,000 lights in honor of a cancer survivor or to memorialize a loved one lost to the disease. "It is a big visual. It is very moving," Mongue-Waymore said. 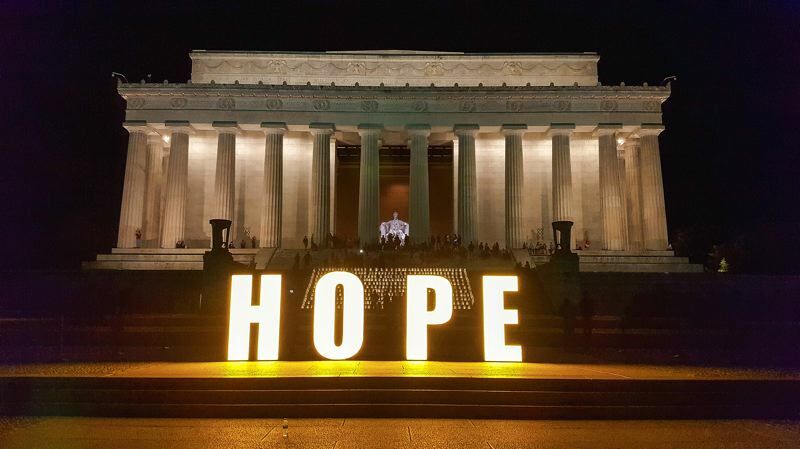 There are thousands of luminaries around the Lincoln Memorial Reflective Pool, many decorated with photographs or words of hope or remembrance for those with cancer or lost to the disease.